The next book I'm slated to review on about.com is the new Philip Roth book, Nemesis. 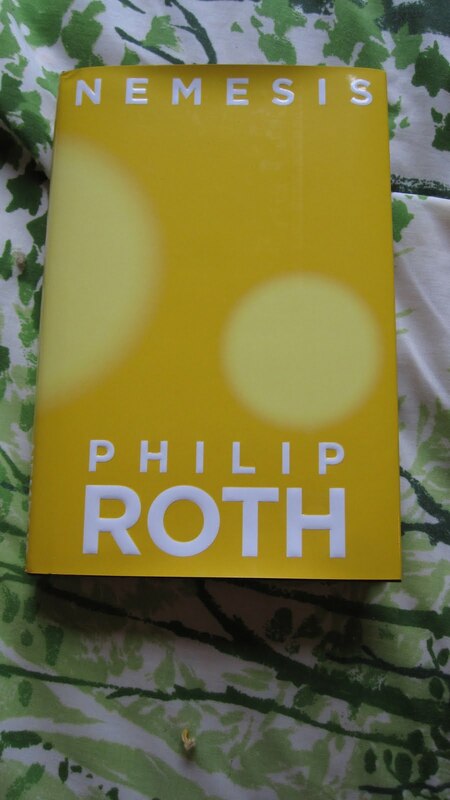 As a big Roth fan, I was very excited when it arrived. I feel Milton Glaser did a fantastic job with the design, and I LOVE the book's spine. 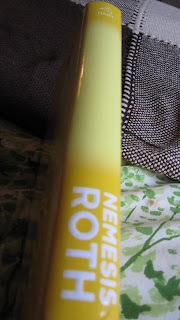 It's a little tough to see, but the publisher info comes first (centered at the top), leaving the title and author both for the base of the spine. So simple, yet so, so good. This is the 50th post at The Oxen of the Sun! I want to thank everyone for their continued support, and hope you all keep checking in. Occasionally I'll see that some readers were referred here from other blogs. For those readers who maintain a blog of your own, let me know! I'll add you to my blogroll and hopefully we'll each boost our readership.